When I had started my first blogging website, I was very excited. I thought, I had overcome the most complicated steps(domain, hosting) in the world of Internet. Now I will be sharing my knowledge and ideas to the world. I started writing and would search myself in google but no trace of mine was found, except typing the exact URL in google. Eventually I was very disappointed and closed my website 1 or 1 and half month later. At that time I could realize that hosting a website is not a big deal, but making it popular is a big deal. Later I came to know about, what I was totally unaware of things like – SEO, Webmaster Tools, RSS feed, Sitemaps, Robot, Back-link and many a more. Today I will be sharing one of them with you – The Back-linking. Simply speaking, Back-linking means putting/hooking a link of your website to other’s website. So that people and search engines can reach to you following the link. In other words it is a way to make other aware of your existence and how they can reach to you. You have a nice house but do not have a good way to reach it or you do not tell anyone about your house. So who will know about the beauty of your house? You only na. So you have to welcome people to come to your house and judge how nice your house really is. Similarly back-linking is also a way through which people and robots can come to your website and judges your website quality. How can I have back-links? So, now you are interested to have back-links! Really good, as you have come so long I will not disappoint you. I will take you to the end of the journey. I will try to tell everything that I know. So lets complete the remaining things. Now I will tell you the ways to have back-links, though you also have to work hard. It’s a way where you can enter your back-links. The best way that I suggest, after writing a post find similar post in google and visit those links and put some related comments or put a part of your post there in the comment box and refer the post URL for rest of the details. Your can target some heavy traffic question answering site like Quora.com, stackoverflow.com, answers.com, askme.com etc and find a related post and put a back-link as answer. This is nothing but a give and take policy. Where you can come to a negotiation with other website owners. Like, you give me back-links and I will give you too. Always try to back-link with heavy traffic websites. Because they are frequently be crawled by search engines and mostly visited by people. Share your blog post under CC attribution, so that your content will be used by other websites and will give you a back-link for every post they use from your website. Share your blog images and videos under CC attribution share and like. 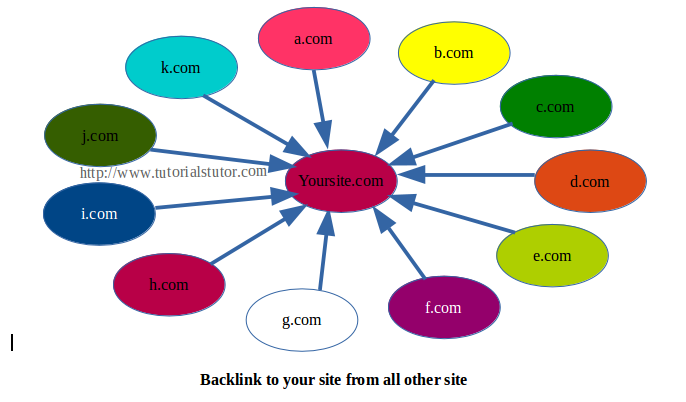 This way your can spread your scope of having back-link to your website. Sharing your post on social media like Facebook, Twitter, Google+ etc. gives you rich back-links. Because now a days social media are having heavy traffic. So try a little bit to share from them. Simply share a post, if any body likes your post they will come to your site to read the full post. Find how to add Facebook share button on your website. Always avoid back-linking to unrelated websites. For example: your site is a blogging site. So you mostly should target blogging related sites to have back-link. Always try to have back-link from well alexa ranked sites. In the above back-linking strategies you have two foe that forbid search engines to come to your site. These are html attributes “noindex” and “nofollow”. When you comment on a website, if the owner adds this attributes in your link then search engine robots will not follow your links. But don’t be disappointed because they cannot force the human being from coming to your site.